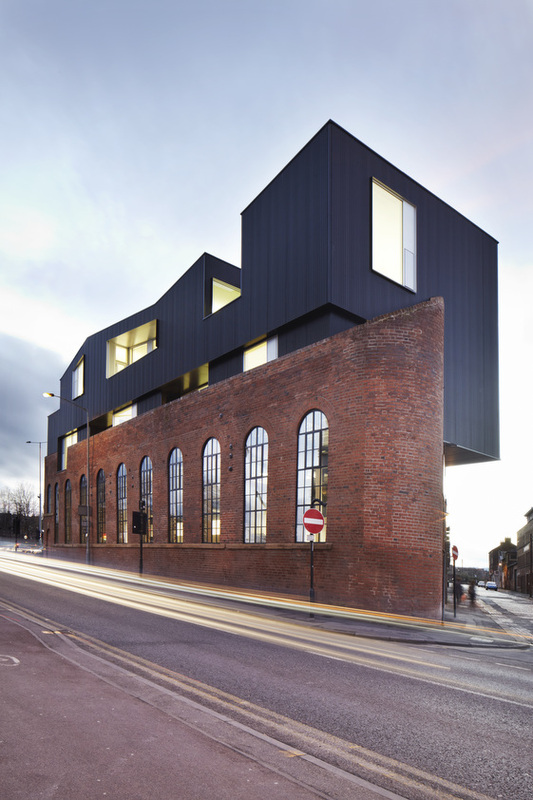 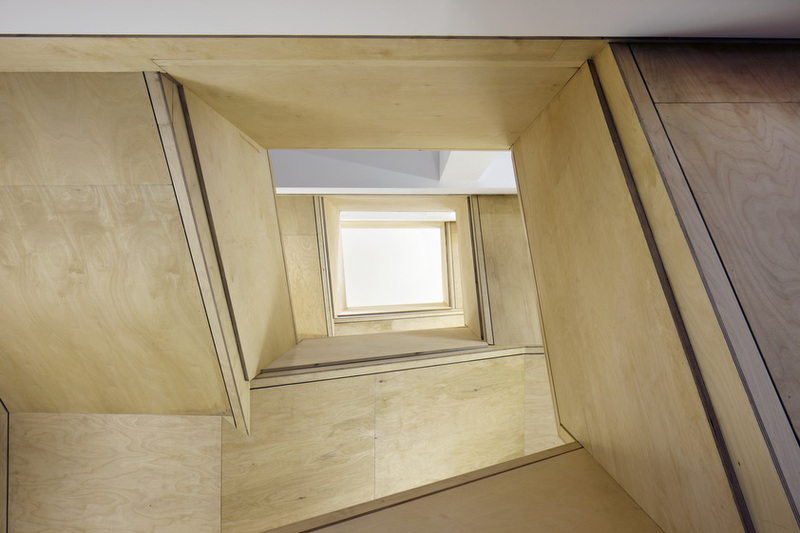 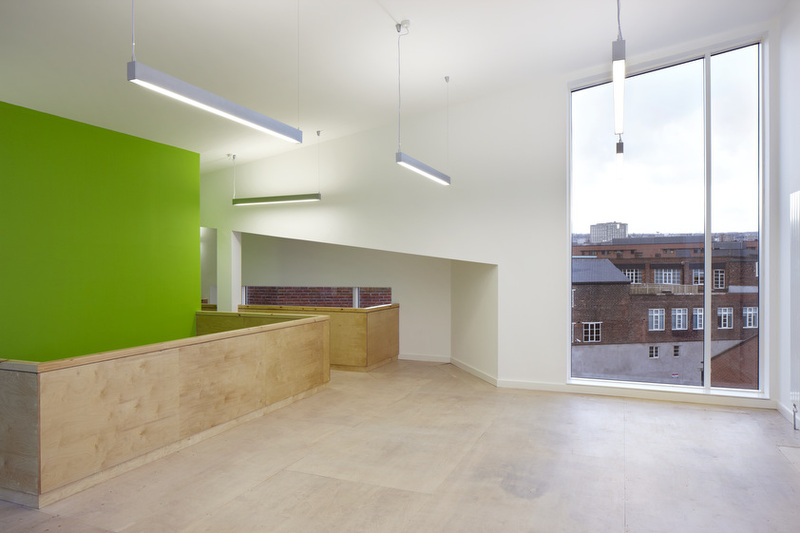 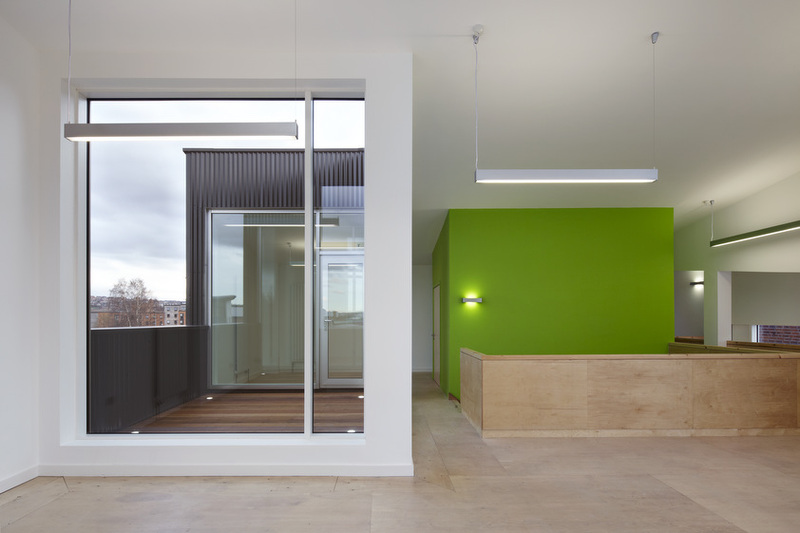 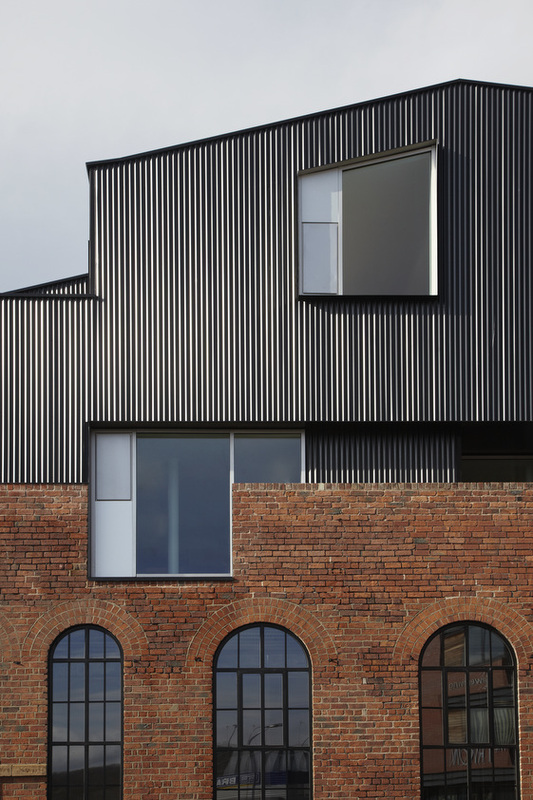 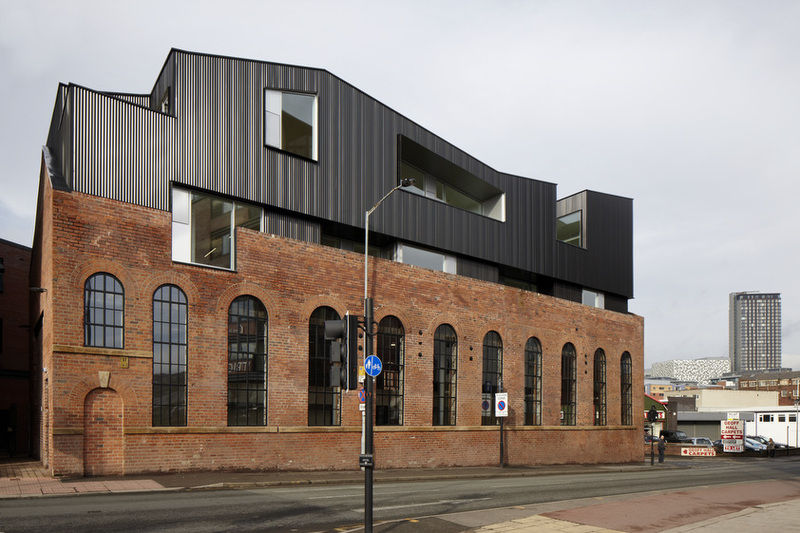 The completed development seeks to rehabilitate the once redundant building, celebrate its industrial heritage and make it relevant to its newly vibrant context. 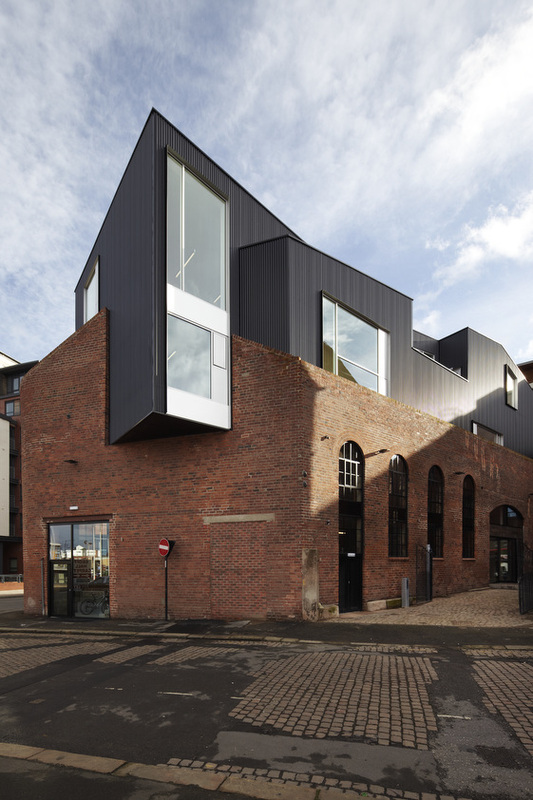 The brief was to provide mixed use combining a desirable double height restaurant/bar within the original shell (capitalising on the raw industrial character of the existing building) with duplex studio office units above. 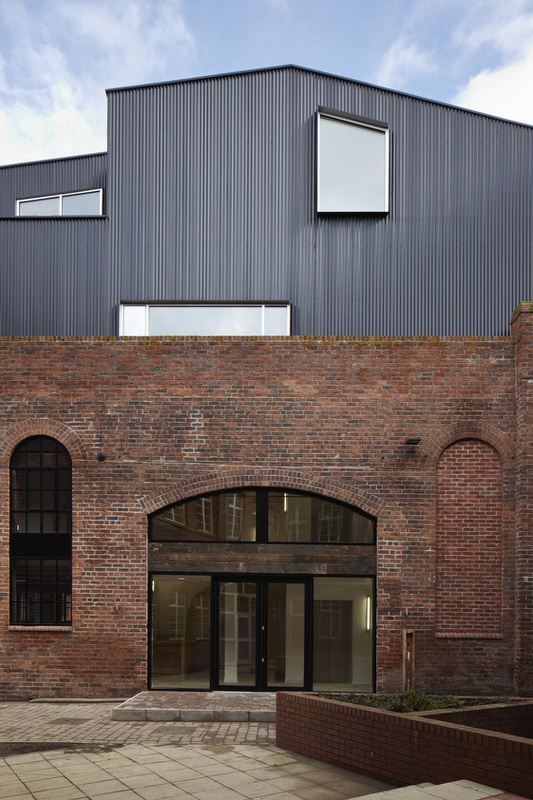 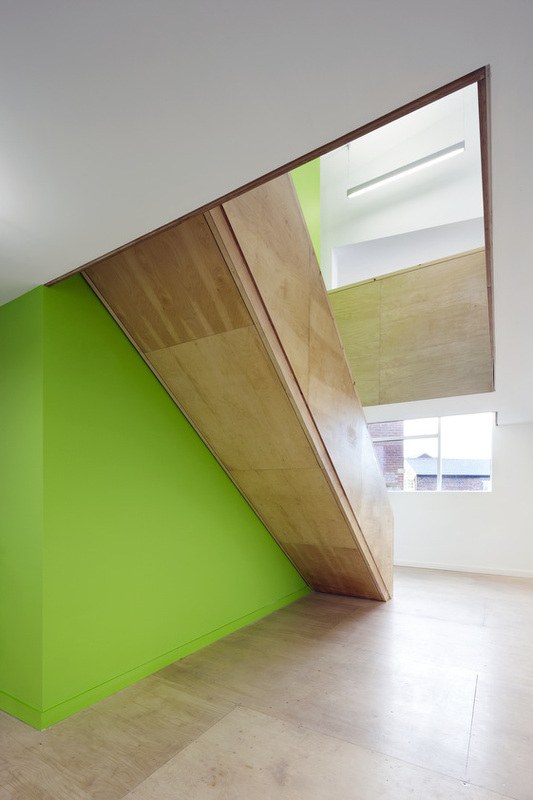 These are accommodated in an upward extension of the existing building in a contrasting but complementary volume, a replacement for the original pitched roof.